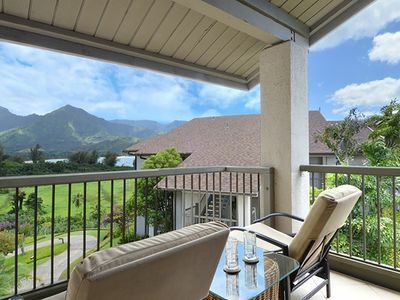 Hanalei Bay Resort #9324: Hanalei Mountain and Bay Views with AC! 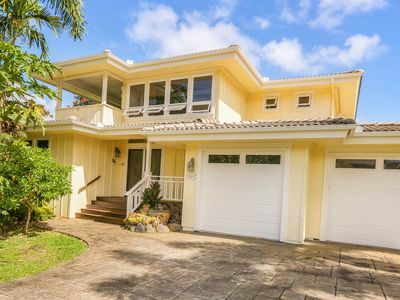 One of the best locations on Kauai’s lush North Shore fronting the white sands of Hanalei Bay with amazing views of tropical sunsets, lush green mountains and the sparkling blue waters of the Pacific Ocean. 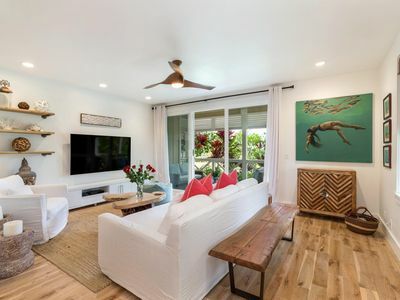 These Kauai condos are located on over 22 acres of Hawaiian paradise, featuring mature tropical gardens with endless flowers, trees and other flora, cascading pools and lava rock waterfalls, and is steps to one of Hawaii’s most beautiful white sand beaches. 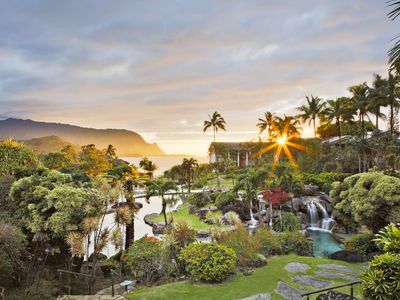 Not only is the Hanalei Bay Resorts’ pool one of the best on Kauai, the views from the one, two and three bedroom condo suites are amazing. 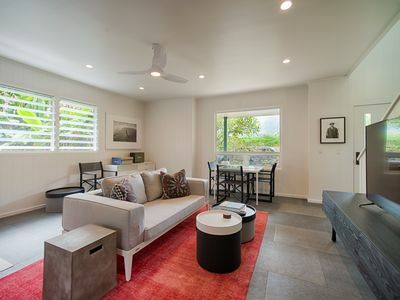 Beautiful sunsets, Hanalei Bay, the Na Pali Coast and Bali Hai are just some of the views that the individually owned condos can provide. 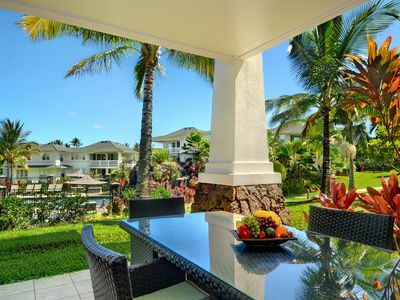 Our guests enjoy full access to all of the resort amenities, including the two swimming pools, eight tennis courts, bell & shuttle service as needed, resort concierge, front desk and more. 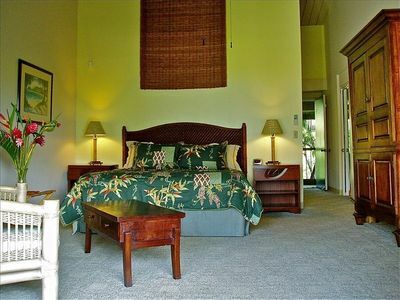 Hanalei Bay Resort is in close proximity to the many restaurants, beaches and activities of the North Shore. Within walking distance is the St. Regis Hotel. 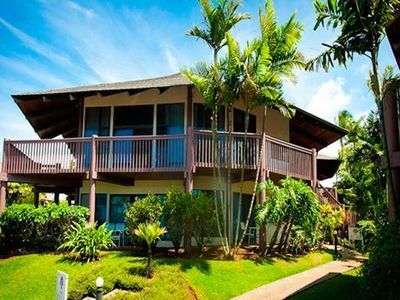 A short drive from your Kauai condo is the Princeville Center where our North Shore office is located. 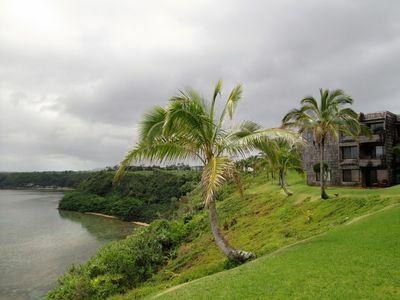 Also close by are two of the best Kauai golf courses to enjoy during your vacation. 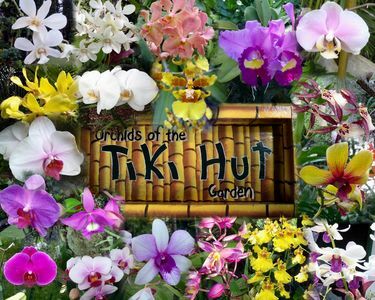 You can also watch highlights on our North Shore Kauai video. 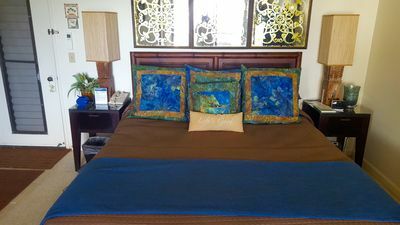 GUEST NOTICE – There is a HBR Resort Fee of $20 per night plus tax charged at check-in. 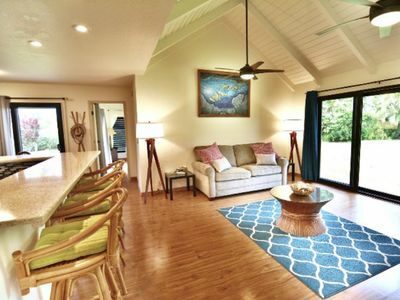 Hanalei Bay’s sandy beach and bountiful water activities are just steps away. 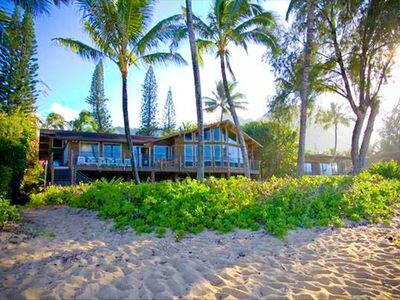 About eight miles from the Princeville Resort is Kee Beach and the gateway to the breathtaking Kalalau Trail and the famed Na Pali coast. 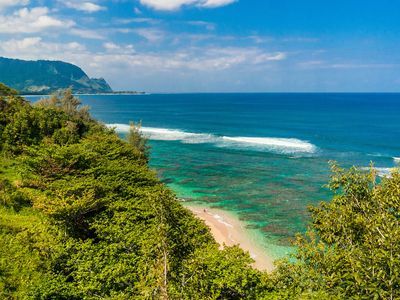 Along the way is Lumahai Beach, a personal favorite and Tunnels, one of the islands best snorkeling destinations. 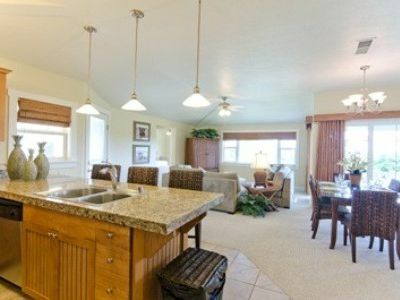 Beautiful 2 Br/2Ba, Oceanfront Unit. 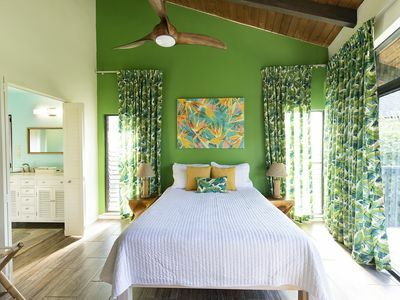 Beautiful Beachfront 6 BR Sleeps 12! Breathtaking views of sunset from this One bed unit walking distance to beach!